The stolid coolness of Ghostpoet’s Dark Days and Canapés deceives the senses. Like Tricky once did, the darker themes are subjugate to the hipness of the beat structure and calmness brought by the languid vocals. The dark themes are still ever present, even with the unhurried and dynamically consistent sounds, and the stoner aesthetic. The sinister mood is really wrought by the narcoleptic tone, the occasionally menacing shifts of rhythm and songs about personal fate, and being at the mercy of the political machine. Ghostpoet offers no respite from his personal woes but neither does he wallow. He laments, such as on the track ‘Karoshi’ the futility of world conflicts, or even smaller battles waged on local political fronts. To the Grave/Fighting for What?/Bloodshed and Winning for What? These perfunctory lyrics are recited over some beat driven trip-hop which trots along at a druggy pace, and the overall effect is just as anaesthetic. Interestingly,‘Karoshi’ is Japanese for death brought about by overwork. The enervated mood pervades the whole album, whilst the overall sound is excellent (minimal piano figures, spectral guitars and keyboards, modish beats and that nasal, half spoken vocal). I can’t say that the messages on the tracks captured my thoughts because the music is lulling, whilst the lyrics are kind of diametric, trying to capture your attention but the music distracts you. 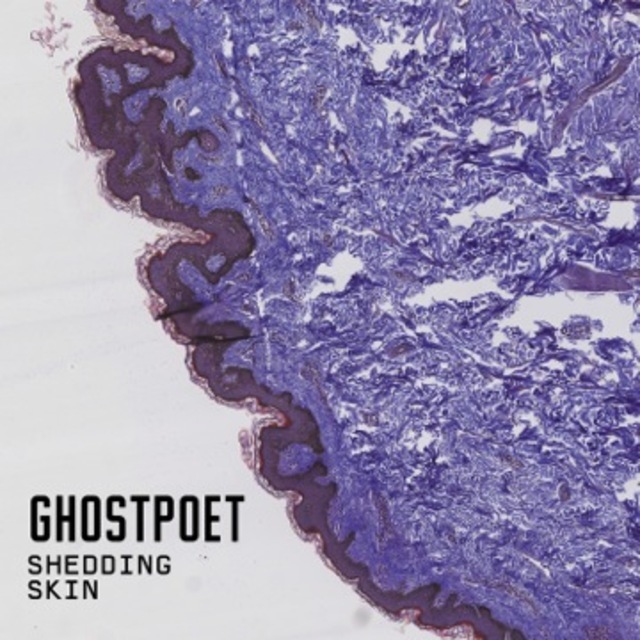 At his most successful though, Ghostpoet brings fresh ideas with his minimal electronic soundscapes, using conventional instrumental combinations (strumming guitars, piano and bass) with unconventional effects such as pinging sounds and vaguely industrial noises. His phlegmatic vocal sheers the edge off the cynicism, so you can just lap up the cosmopolitan sounds.